Nathan Eovaldi made a solid first impression in his Boston Red Sox as the MLB World Series contenders defeated the Minnesota Twins 3-0. 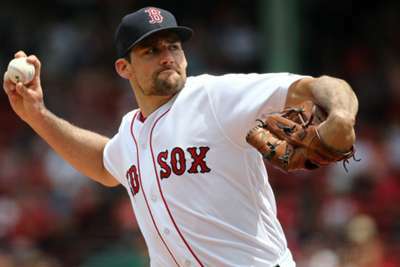 Starting pitcher Eovaldi – who was acquired from the Tampa Bay Rays last week – threw seven scoreless innings and allowed just four hits at Fenway Park on Sunday. Eovaldi, 28, allowed a one-out double to Minnesota outfielder Eddie Rosario in the first inning but retired the next two hitters to work out of the jam. 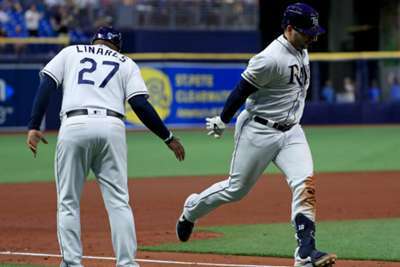 The Twins never threatened again as they failed to advance another runner into scoring position until the ninth inning. Eovaldi finished the game with five strikeouts and no walks. Boston closer Craig Kimbrel picked up his 33rd save of the season. Red Sox slugger J.D. Martinez drove in all three of the game's runs. He had an RBI double in the second and followed with a run-scoring single in the fourth. The win moved the Red Sox to 74-33 for the year, while the Twins fell to 48-56. Zack Wheeler threw six scoreless innings and drove in the game's only run in the New York Mets' 1-0 win over the Pittsburgh Pirates. Atlanta Braves starter Sean Newcomb struck out eight and came up one out short of a no-hitter in a 4-1 victory against the Los Angeles. Asdrubal Cabrera went 0 for four with two strikeouts in the Philadelphia Phillies' 4-0 loss to the Cincinnati Reds. Los Angeles Angels starter Felix Pena recorded just one out and allowed seven earned runs against the Seattle Mariners, who won 8-5. Jackie Bradley Jr. ran down a line drive in the left centerfield gap to rob Twins catcher Bobby Wilson of an extra-base hit. Houston and Seattle will send their aces to the mound when they open a three-game series at Safeco Field on Monday. James Paxton is set to be activated from the disabled list and start for the Mariners, while Gerrit Cole will pitch for the Astros.